You're certainly not afraid of mixing your peas and mashed potatoes, so it's no surprise that you prefer your trail running pursuits to include a little bit of everything. So when your objective entails thickly forested steeps and rocky outcrops alike, make sure you reach for the Brooks Women's Cascadia 12 Trail Running Shoe. 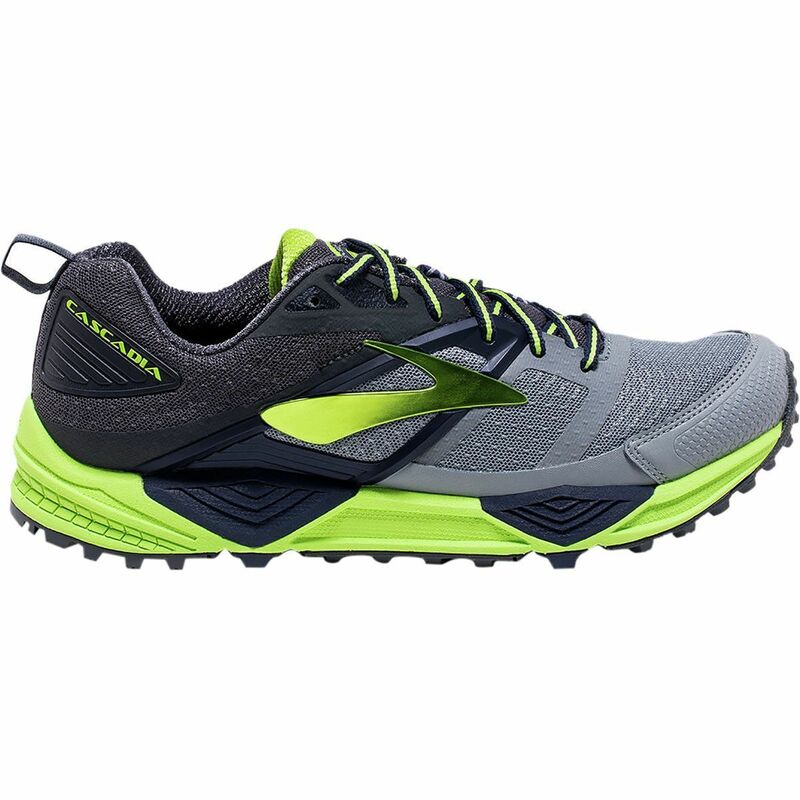 Designed with input from seasoned ultrarunner Scott Jurek, the Cascadia 12 features an updated Pivot system and redesigned upper that bolster its workhorse adaptability. The upper is equipped with a breathable mesh that manages moisture to keep you dry and comfortable when the conditions are anything but mild, while the strategically placed overlays, splints, and heel cup provide torsional support and a structured feel. Additionally, the upper now features a more substantial toe guard to protect your metatarsals from harmful obstacles and the inevitable too-tired-to-run toe stub. The pivot system doubles as a suspension for your foot and a fifth pivot point at your first metatarsal offers a more energetic flex and toe-off, allowing you to optimize your transitions and make the most out of a slogging-hard situation. Meanwhile, the BioMoGo DNA midsole attenuates shock, disperses impact, and adapts to every step, and the full-length, segmented crash pad allows your foot to make a smooth landing and smooth transitions. A ballistic rock shield defends you from sharp, potentially harmful obstacles, and the rugged outsole has newly rearranged lugs to maintain more traction underfoot without bruising your foot or causing discomfort.